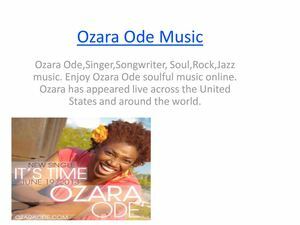 Ozara Ode Music Ozara Ode,Singer,Songwriter, Soul,Rock,Jazz music. Enjoy Ozara Ode soulful music online. Ozara has appeared live across the United States and around the world.